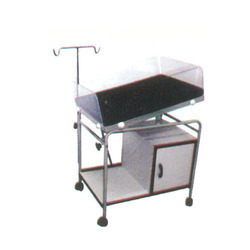 Our product range includes a wide range of baby cradle and baby bassinet. 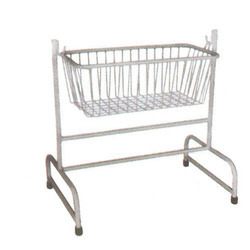 • Wire Mesh hanging cradle 19mm x 1.22 mm CRC Tube & wire thickness 5mm. • Pre-treated & epoxy powder coated. • Stand Frame 25mm x 1.22 mm M.S tubular pipe. 5 cms castors I.V Rod. • 5 cms castors I.V Rod. • Preprex transparent crib with mattress. • Laminated cupboard with plate. 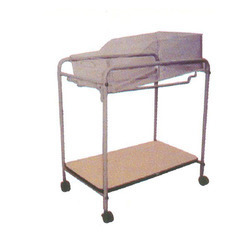 Looking for Baby Cradle Bassinets ?